As the official child support enforcement agency for Oldham County, the Oldham County Attorney’s office provides services for parents who wish to obtain or provide support for their children. These services include providing paternity establishment, child-support establishment, medical-support establishment, and judicial enforcement of delinquent child support by civil and criminal processes. The Oldham County Attorney’s child support division processes over 1200 active cases at any given time. All of these services are provided by the state so there is no cost or fee to the public. It is important to understand that the attorneys and staff of the child support division do not provide legal representation to either parent as a private attorney would, but rather administers the laws of Kentucky to see that support is set and paid according to law. 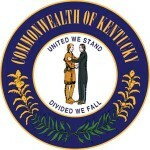 The Oldham County Attorney’s office may only deal with adult parties who request services in their capacity as the adult representative (guardian, custodial parent) pursuant to his or her obligation to provide legal services to and for CHFS and the Commonwealth of Kentucky according to KRS 205.712(7). In order to assist you, we need to be able to communicate with you as necessary. You must contact our office if you have a change of address, telephone number or change of employment. You must keep us informed of new information regarding the non-custodial parent.